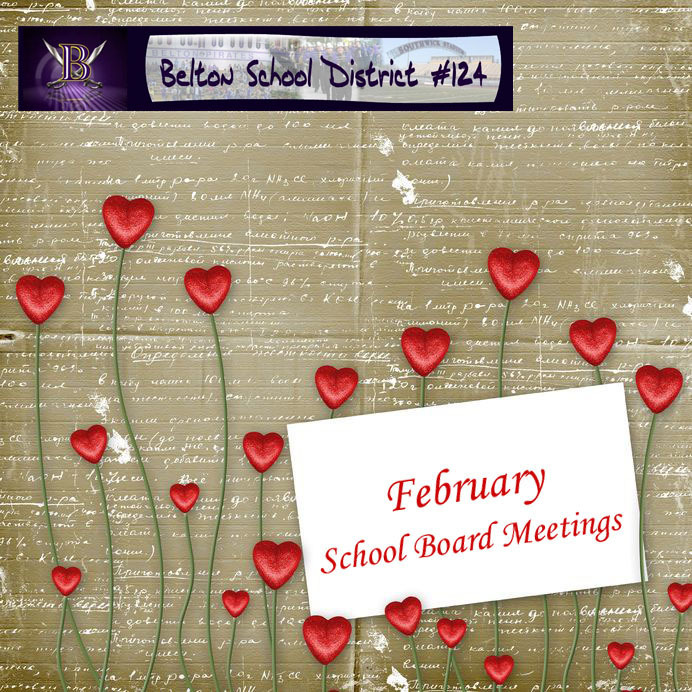 The Belton School District’s Board of Education will meet Thursday, Feb. 23, at 7 p.m. In addition to routine agenda items, such as overseeing personnel changes, board members will hear a report from Superintendent Andrew Underwood. Two significant topics in Underwood’s report will be a bond issue update and a legislative update. The board meeting, which is open to the public, will take place at Cambridge Elementary; 109 W. Cambridge; Belton, MO 64012.